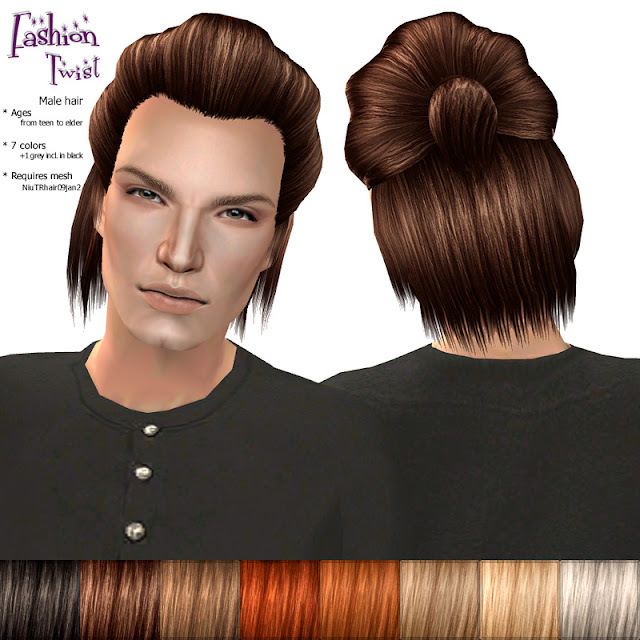 Hair for male sims. Ages from teen to elder. 7 colors + 1 gray included.